Stand out from the marketing agency crowd as a LRT Certified Agency. Get certified by LinkResearchTools® and Christoph C. Cemper by completing a rigid training, certification, and re-certification process. As a LRT Certified Agency, at least one LRT Certified Professional is working at your company that guarantees competent and up-to-date SEO and Link Audit services for your clients. Clients look for LRT Certified Agencies to do their link related work, as it helps them to be sure that the service provider is on top of the current state of technology and methodology. 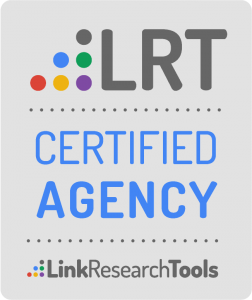 We want to build a trusted circle of experts around our team at LinkResearchTools, and you should become a part of this thrilling and thriving community ASAP! LRT Certified Agency is the only certification level for marketing your company brand. All other certifications are personal certifications not legible for use on agency websites, marketing material, etc. Free access to all Certified team members at the closed member event “LRT Masterminds” in Vienna. we demand an ongoing commitment from you and your team to keep up our high-quality standards. 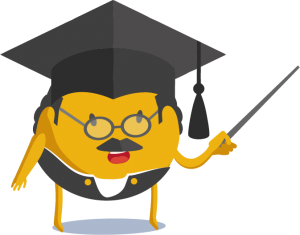 Your LRT Certified Professional team members have to maintain their certification level. In extreme cases of low quality we may revoke your certification, of course only are seeking a solution with you. Become an LRT Certified Agency and stand out.